China Glaze Nail Polish, Jamaican Out, 174, .50 fl. oz. 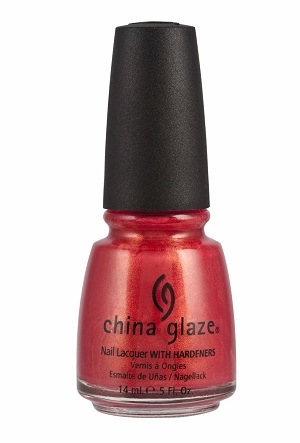 Coral red-toned orange nail color with gold shimmer. China Glaze Caribbean Temptations Collection.